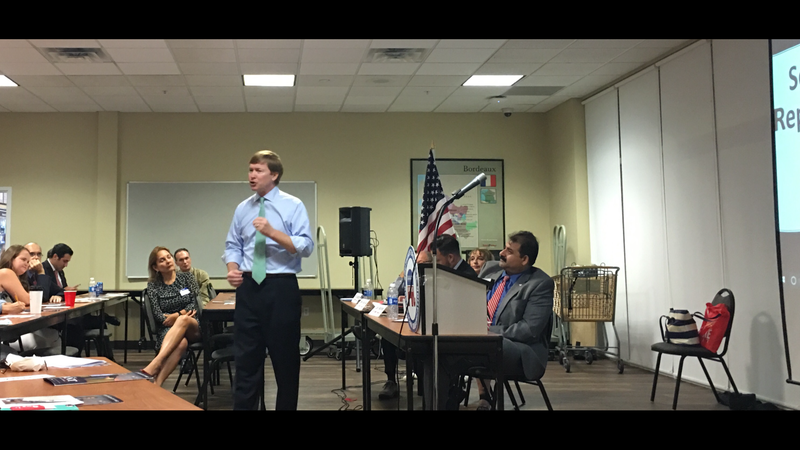 Florida Commissioner of Agriculture Adam Putnam believes Broward Republicans are the key to statewide victory in 2018. Speaking to a packed house at the Southwest Broward Republican Organization meeting in Pembroke Pines, Putnam said Republican votes in South Florida were key to Donald Trump’s victory in 2016 over Hillary Clinton. Even though outnumbered by Democrats, Broward County has the highest concentration of Republicans in the State of Florida. He urged Broward Republicans to keep the momentum going. “Broward can move statewide elections,” Putnam said. Putnam better pressure Gov. Scott to fix the Broward Health Board quickly. Otherwise he will lost at least 8,000 votes.